Halloween 2014 with my little monsters. I hope you all had a nice and fun Halloween! This year was the first year we went “Happy Halloweening” as we call it he he and the kids loved it. Zacharias decided to be a Zombie, so we took one of he’s school tops, put some fake blood on it, painted he’s face and put fake blood on he’s face. We had real fun going for a little walk around the neighbourhood and the kids got lots of treats in their little pumpkin bags. Did you celebrate Halloween with your family? 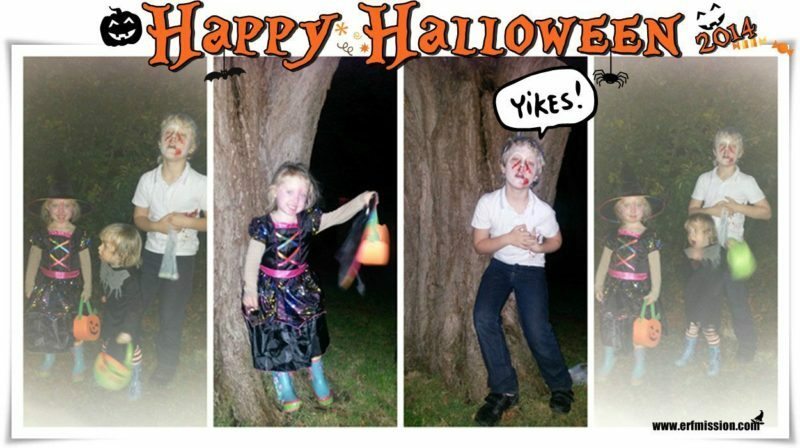 Did your kids go out Trick or Treating?